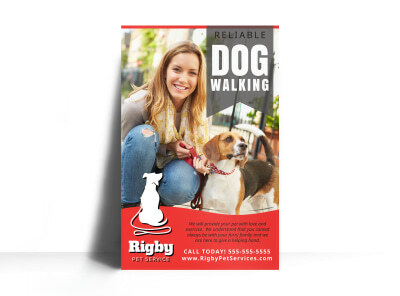 Customize our Reliable Dog Walking Poster Template and more! 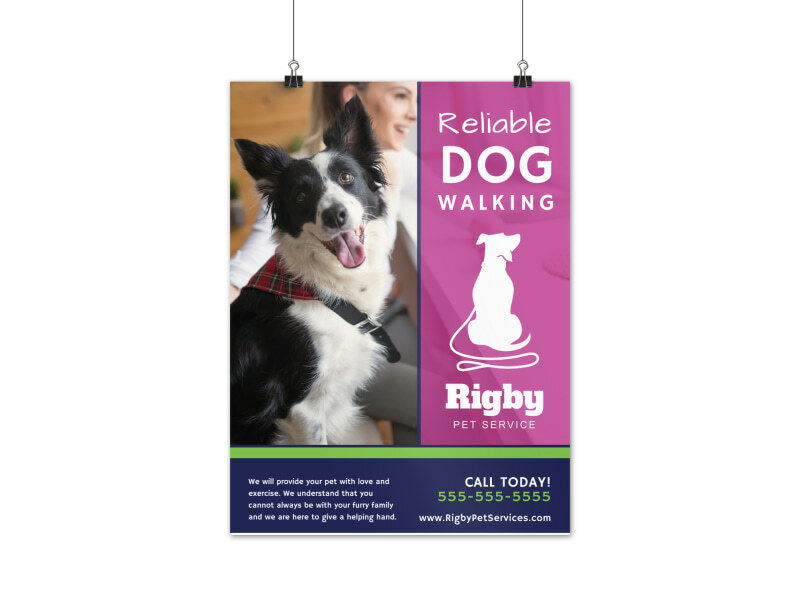 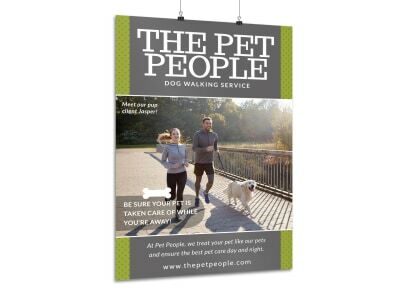 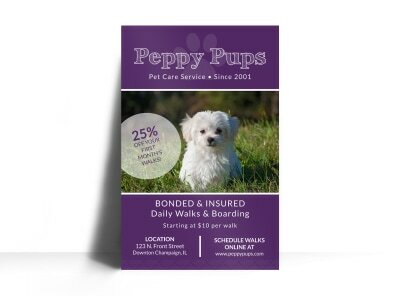 Announce the grand opening of your dog walking business with this customizable poster that you can personalize in minutes using our online editor. 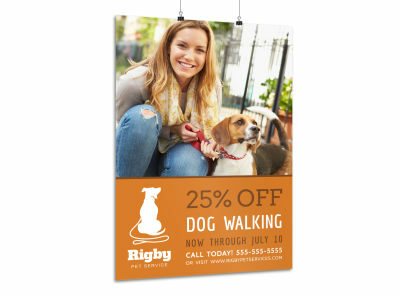 Choose from different fonts, colors and add images of your own to customize your posters. 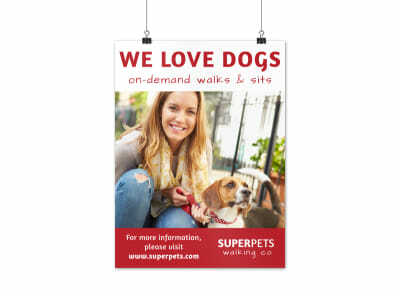 Print from where you are for faster access to your posters or let the professionals do the hard work for you.